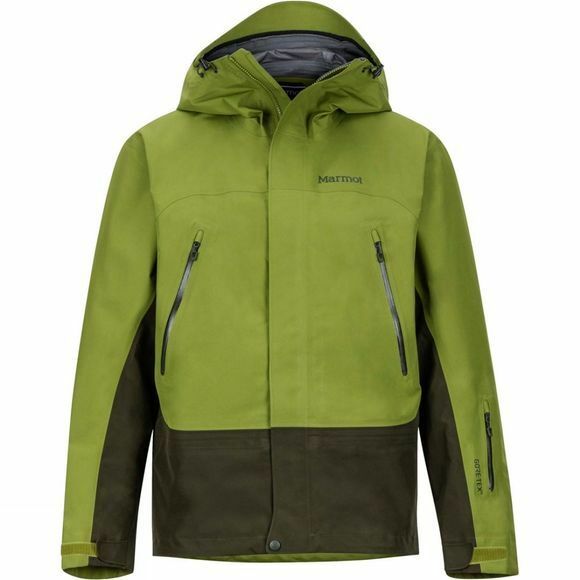 The Mens Spire Jacket from Marmot will help you tackle rainy treks and snowy mountain adventures and stay dry. This shell will keep you warm without slowing you down, thanks to the wind-blocking hydrophobic membrane of Gore-Tex Technology. 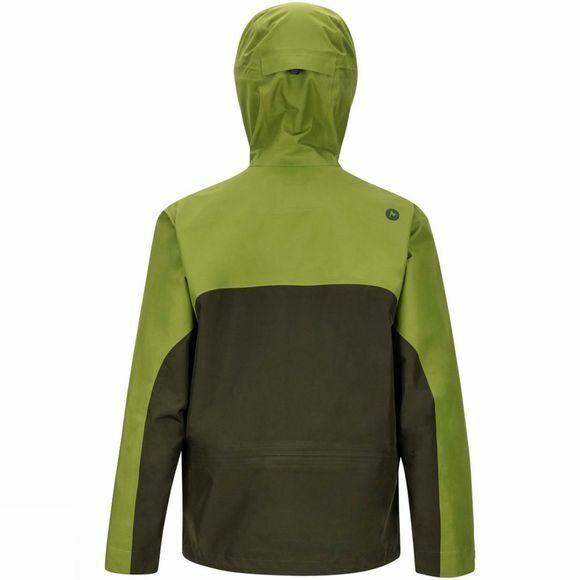 The gale-force hood with laminated brim will stay securely over your helmet and the pack pockets keep essentials accessible while wearing a backpack.